While there is plenty of data on new housing starts -- an important economic indicator -- up until now there has been little information available on residential remodeling. On August 10, the inaugural BuildZoom & Urban Economics Lab report "New Eye On Housing And The Economy," was made available on the BuildZoom.com website, shedding light on national trends for 1Q15. How significant is remodeling? 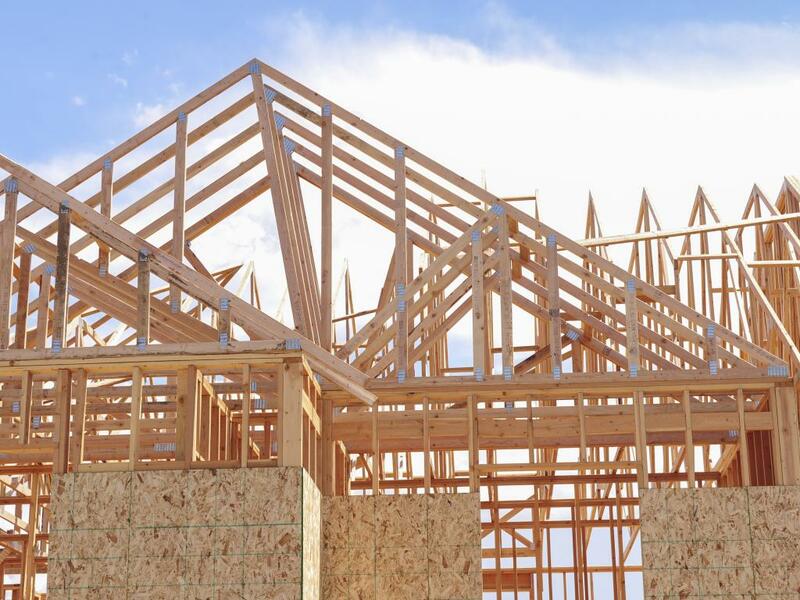 "On a national basis, while new housing starts account for $340 billion in economic activity, building permit data indicates that remodeling activity is not far off," according to BuildZoom Chief Economist Issi Romem, who estimates that remodeling is valued at $300 billion. 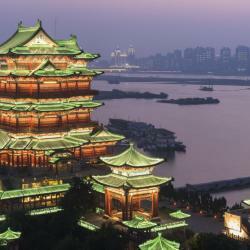 The BuildZoom & Urban Economics Lab index is a joint endeavor of BuildZoom and Dr. Albert Saiz of the Urban Economics Laboratory of the Center for Real Estate at MIT. Prior to the Great Recession, new home construction peaked and then fell off of a cliff. 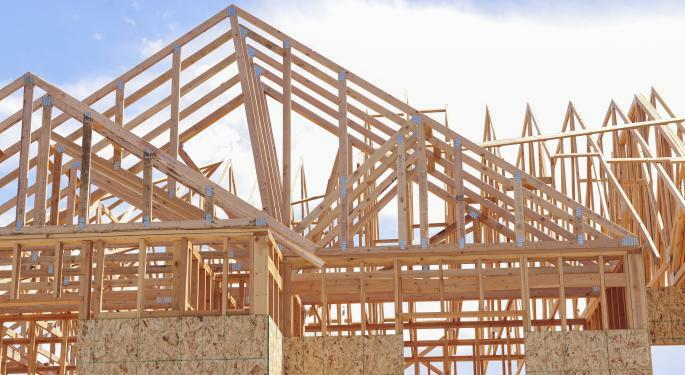 Since 2009, when new home activity bottomed, there has been a gradual increase in new home construction. 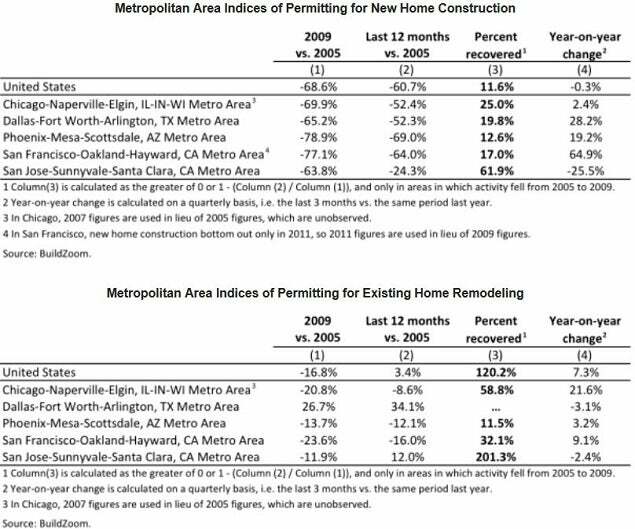 Notably, in 2009 existing home remodeling also began to rebound. By 2014, the volume of remodeling had acceded 2006 levels, and data from 1Q15 confirms that activity remains higher. 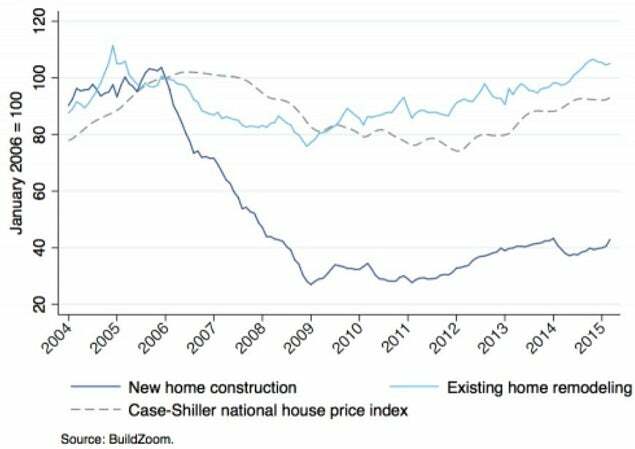 However, unlike remodeling, new home construction remains significantly below levels of a decade ago, and is still ~60 percent off of peak levels. Last week, Benzinga interviewed Romem to learn more about what he has been brewing in his joint lab with MIT. BZ: First of all, Issi can you explain BuildZoom.com in a nutshell? IR: BuildZoom utilizes big data, research and analytics combined with customer feedback to create a smarter way of matching residential and commercial customers with licensed contractors. BZ: How many customers currently utilize the BuildZoom site? IR: In July 2014: 510K unique users generated 587K sessions and 1,077K page views on BuildZoom. In July 2015: 730K unique users, 869K sessions and 1,667K page views. BZ: Has more customers resulted in an increase in business for contractors? IR: Significantly. The number of contractor service requests increased by 165 percent versus 2014; while the number of BuildZoom users grew by 43 percent, indicating we are doing a better job of reaching our intended audience and converting the traffic. BZ: What can you share about the new set of residential construction and remodeling indices BuildZoom is releasing on Monday, August 10th? IR: We are pleased to be working jointly with Dr. Saiz at the Center For Real Estate at MIT on this project. Based on the simulations which were run, we feel confident that the picture is accurate for the national index. The next step was to begin to gather data on metro areas which can be compared with national trends. BZ: How many markets will be covered initially? IR: The report for 1Q15 includes five metro areas in the U.S. -- Chicago, Dallas, Phoenix, San Francisco and San Jose. We intend to add new markets each quarter, publishing the data with about a three month lag which is necessary to insure accuracy. IR: We believe that the BuildZoom & Urban Economics Lab Index provides a valuable new source of information that sheds light on both the housing market, and the economy at large. BZ: What do you think investors can learn from this type of data? IR: Just focusing on new home data may not give investors a reliable picture of a local real estate market. Cities or metro areas with a high elasticity of housing supply (or "elastic housing supply") are cities where it is easy to build, because construction is less constrained by geography and/or local policy, e.g. places like Atlanta, Charlotte, Dallas and Phoenix. Cities or metro areas with a low elasticity of housing supply (or "inelastic housing supply") are cities where it is difficult to build, because construction constrained by geography and/or local policy, e.g. places like Los Angeles, Miami, San Francisco and New York. Despite its size, and even though it is a good indicator of consumer confidence, residential remodeling can easily be overlooked. BZ: What does BuildZoom hope to achieve with this new initiative? IR: BuildZoom is all about transparency and helping to create an intelligent marketplace. Moving forward we hope to be able to utilize data gathered from county tax assessors in order to determine if a home is owner occupied. This level of detail could give investors even more insight into homeowner remodeling activity versus improvements made to homes which are likely held for investment or resale. BZ: That sound's great Issi, thank you for your time today.